On March 1, 2013 when MindArk announced a newly-discovered moon that would become the next auctioned real estate in Entropia Universe. However, the distinguishing factor is that it is more than a land area that generates revenue from participant activities. 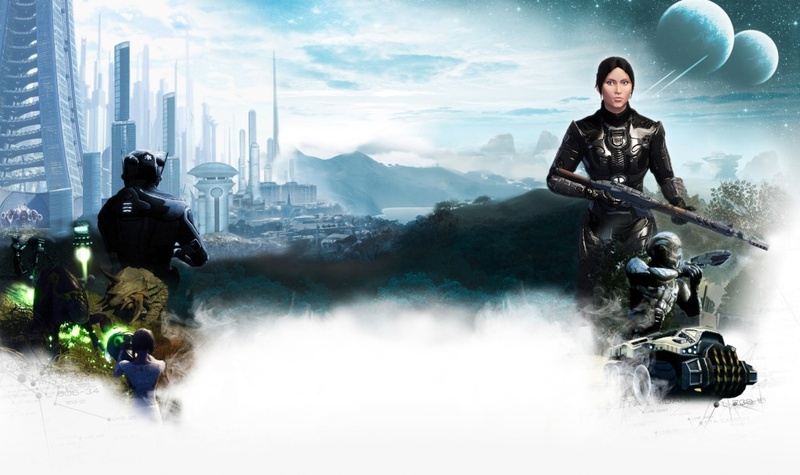 For the first time in Entropia’s ten year history, this unique opportunity combined the Entropia Universe Planet Partner and Marketing Partner programs which allows the Estate Manager to add to the revenue earnings through marketing and recruiting new participants. and more details in the Moon Estate FAQ here. Here are the players in-game names that invested in the moon. Akoz is the Investment Group Fund Manager, and the avatar who will hold ownership of the Monria Estate Deed. This isn’t the first time he has successfully managed an investment group. Previously, he led a team of investors that purchased the Medusa’s Head real estate on Planet Calypso. Akoz will also act as the liaison between the Monria Team and MindArk. At first, Akoz, Mikass and Squall decided that they had enough cash on-hand to purchase the estate for the valuation they had in mind at the time, and other interested parties were turned down. Since winning the auction, they have added a fourth shareholder (Pinthas) who helps with creative work. Suffice it to say, that revenue sharing details are in place, except for a tweak needed here and there, but all parties are appropriately covered, and each shareholder will be putting forth their best efforts to not only create an interesting environment to explore, but generate potential revenue earnings by bringing in their own new participants. Seems naming the estate was as simple as compiling a list of about 40 names and then dwindling it down to what seemed to fit best, but they also gave consideration to an easy-to-remember domain name that wasn’t already in use. Who actually submitted the name is a bit of a mystery, but it was intimated that there might be another story in here somewhere for the future. Want to know my guess? I think they’re developing a whole mystical background story on how the estate got its name, and who wants to bet that it will absolutely fit into their mythos theme. A Lunar Command Center with teleporters, terminals, storage, auctioneers, quest NPCs, four (4) premium shops, and portals to the subsurface caverns.Two Lunar Habitats, each with 50 apartments and 5 shops. These apartments and shops are individual estates which can be traded to other Entropia Universe participants. The team has discussed additional amenities, but nothing they can share at this time. However, what they were willing to share, is that DSEC is a top mining corporation operating within uncharted deep space, and DSEC will clash with Church of Cthulhu on Monria. states that it is a sci-fi thriller MMORPG based on Cthulhu Mythos, which is a shared fictional universe and based on the work of American horror writer H. P. Lovecraft. As such, it will certainly be interesting to see what type of cosmic horrors we might encounter. This becomes especially concerning when you consider that an ongoing theme in Lovecraft’s work depicts complete irrelevance of mankind and what darkness they may encounter in space. According to Lovecraft — “The most merciful thing in the world, I think, is the inability of the human mind to correlate all its contents.” So does this mean that the Monria Team will be showing us the dark side of the moon, and giving us a glimpse of what exists outside of our perceived reality about our universe? I can tell you that based on the following description of one of the most extensively worshiped mythos deities (Shub-Niggurath), we just might be in for some interesting times. Shub-Niggurath is an Outer God in the pantheon. She is a perverse fertility deity said to appear as an enormous cloudy mass which extrudes black tentacles, slime-dripping mouths, and short, writhing goat legs. Small creatures are spat forth, which are either re-consumed into the miasmatic form or escape to some monstrous life elsewhere. The Monria Team is working closely with MindArk and their development staff regarding designs, and once MindArk was introduced to the Cthulhu Mythos inspiration for Monria’s theme, creature design began. The main creature that emerged as a result of the Shub-Niggurath mythos is called a Shubbette. It is not known whether this design will make it into the game yet, because I was told that everything is still very much a work-in-progress, including creature descriptions. It was noted that Shub-Niggurath is a perverted fertility deity, so I am assuming as such, that this is the rendition of what that means to the design team who created this creature. Again, designs are still a work-in-progress, as are descriptions, so it will be interesting to see exactly what will make it into the game. There was another unique creature design shared, and perhaps its name is description enough for those who are familiar with mythos themes, but its appearance certainly gives the air of danger, and perhaps a veiled threat alerting us to be cautious when approaching. I’m sure everyone will be curious as to what the stats will be on these creatures, but that’s data we will have to wait for, along with the details of the other two unique creature DNA’s that are yet to be revealed. However, I have learned that there will also be a larger event creature based on the design of one of the four unique DNA’s, but no further information is available about quests or missions. The Monria Team shared that there has been real progress, especially within the last few weeks. Some mobs are almost finished, but as mentioned earlier, designs and descriptions are still a work-in-progress. There are also many story chapters and story elements already written, which will gradually be released to the public in the months to come, but I was told that they’ll have a nice surprise in this area which will set Monria apart from the other planets. Process is pretty strict in some areas and pretty flexible in areas where we wouldn’t have anticipated much flexibility. MA is breaking new ground with this new planet partner model they’ve pioneered. It’s basically a trial and error process in a way. Some things need to be figured out along the way as this is a new experience for both us and MA. MA took the time to read our story and understand concept behind it. That really made its way into the mob design and environmental layout. Things are on the right track, though the track isn’t as fast as we’d like it to be at times, all part of streamlining the whole development process most likely. Hunters will hardly be left out, and since there are only four unique DNA’s, I will assume that maturity levels will figure into each of the eight subsurface cavern environments. However, much is still to be determined, and we’ll just have to see how it all unfolds. The Monria Team has had many discussions regarding a marketing plan, and feel that they have come up with an original strategy, but are not revealing any specifics at this point in time, saying that they don’t want to spoil the surprise. Let’s hope that whatever this strategy is, it will populate Monria with a surprising number of new players. There is also hope that with their choice of theme, they will be able to attract the Lovecraft Cthulhu crowd, which is said to be a very passionate and dedicated crowd. This is where storyline and how it will be implemented throughout game play will be a critical aspect of relating this well-known mythos to the history and evolution of Monria. Monria was scheduled to be launched sometime in the 2nd or 3rd quarter of 2013, and while we are entering the 3rd quarter, I am told that the team is working hard toward achieving its anticipated goal, but promises cannot be made. It all depends on the development process, and as we all know, it’s never a foregone conclusion as to exact delivery dates. 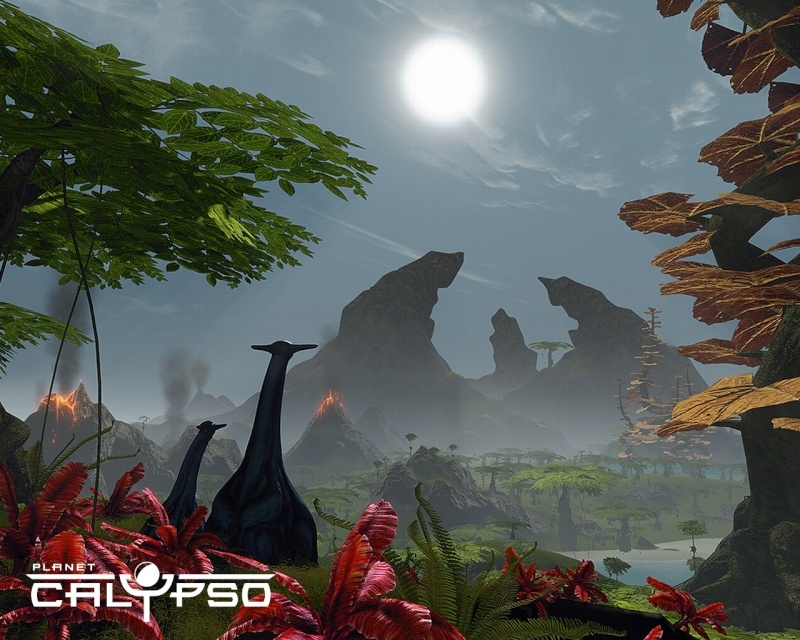 i will update all the new information about monria, the new moon in entropia universe as soon as it becomes available. I've noticed your post as it came up in a google search. I'm one of the Monria team members and would like to provide some input on the above. Jeff might come across as capricious but underneath that facade you'll find a pretty warm and joyful person once you get to know him better. Appearances can be deceiving sometimes. Also worth mentioning that Jeff holds a fat chunk of Calypso CLDs so even if you opt to stay on Calypso you'll bring him a fat chunk of income basically. All joke aside, MA will be the one taking most of the income, especially from other planets' accounts, where our cut will only be 10% while MA will get 90% of the income. I hope you'll change your mind as I'm really pushing to make Monria a very cool and attractive destination for miners. I've done quite a lot of mining myself, having naturally unlocked Mineral sense 'n such and I know the things a miner cares for. Mining was also my first in-game profession when I first started playing Project Entropia back in 2004-2005 and my first soc was a mining soc. Monria will have 0% tax FOMA/CND style mining which many miners should love among other things that will make it a very attractive destination for all miners. Feel free to keep an eye on us on monria.com and I hope to see you all there soon!